In March, a significant presence in the world passed away. 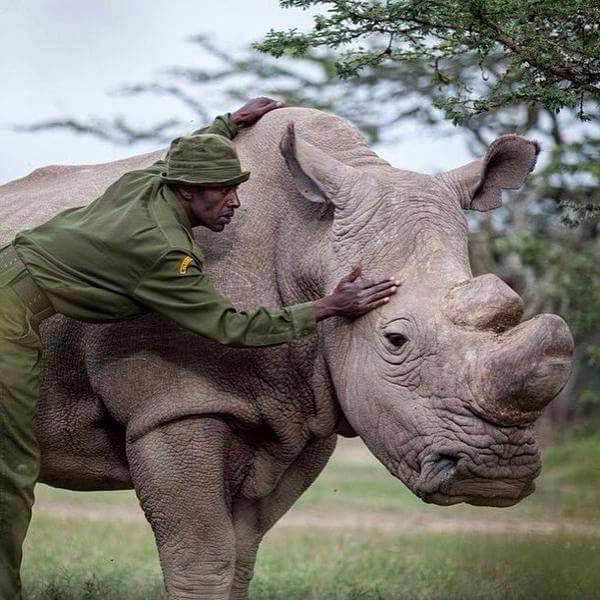 Sudan, the last male northern white rhino of his subspecies, died at the age of 45. 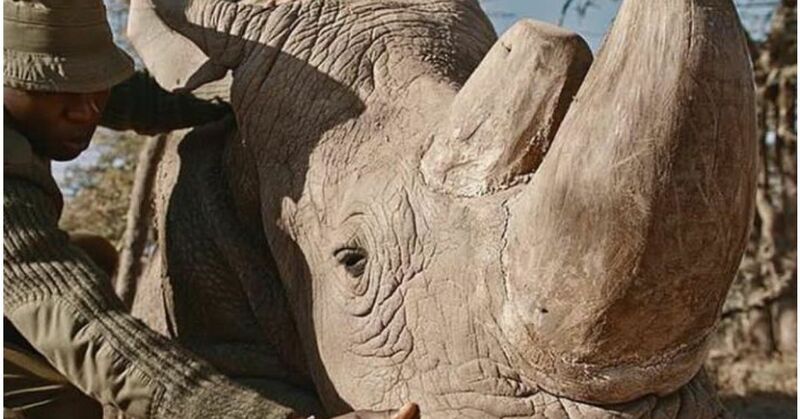 He had long been the last hope for northern white rhinos to avoid extinction. 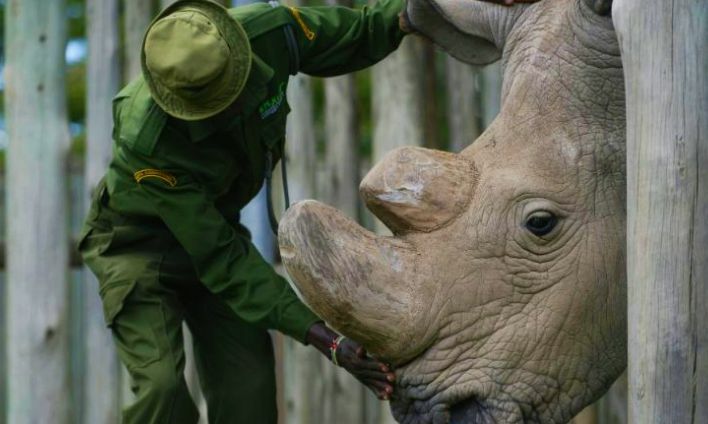 Sudan died at the Ol Pejeta Conservancy in Kenya surrounded by the people who had loved and protected him for over a decade. Sudan had been suffering from various illnesses for some time. 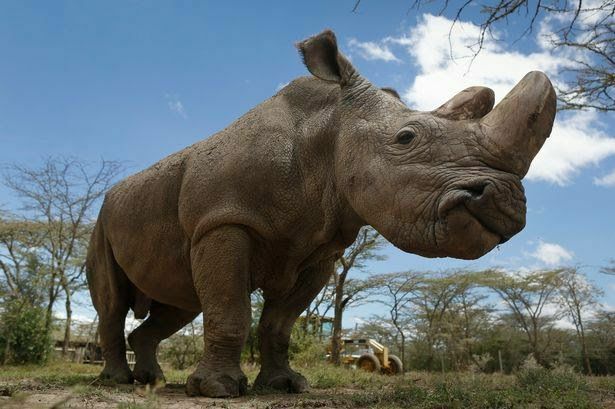 The conservancy noted that Sudan had been "treated for age-related complications that led to degenerative changes in muscles and bones combined with extensive skin wounds. His condition worsened significantly in the last 24 hours; he was unable to stand up and was suffering a great deal." The conservancy's veterinarians decided to euthanize this gentle giant humanely. Sudan was named after his birthplace in the wild. After being captured, he was sent to a zoo in the Czech Republic where he lived for most of his life. In 2009, Sudan was brought to the Ol Pejeta Conservancy to live with two female rhinos. Conservationists hoped that the more natural living environment would encourage the rhinos to reproduce, thereby saving their subspecies from extinction. 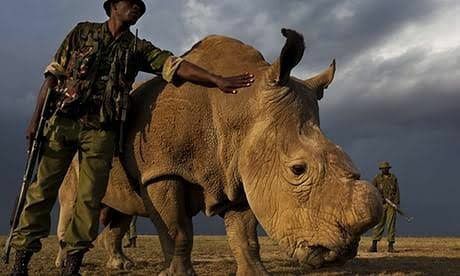 Because rhinos are much sought after by poachers for their horns, Sudan had armed guards around him 24 hours a day. Park officials even removed Sudan's horn to deter hunters and poachers from harming or killing him. All rhino subspecies face threats from poachers every day because of the high demand for rhino horns on the black market. The horn contains keratin, which is mythically believed to cure all sorts of ailments from hangovers to cancer. It is estimated that only 30,000 rhinos across five subspecies survive. Sadly, Sudan and the female rhinos were not successful in producing offspring, so conservationists are trying another plan to save the white rhinos. A female southern white rhino will be used as a surrogate mother for a northern white rhino embryo created through in-vitro fertilization. Additionally, norther white rhino eggs will be harvested from the two remaining female rhinos at the conservancy to use with sperm from now-deceased male white rhinos stored in Berlin. “The fate of the northern white rhino subspecies depends on this operation going smoothly,” the Ol Pejeta Conservancy stated. This unique approach has never been tried before with rhinos, but conservationists are hopeful that, if successful, they may have a chance to save the northern white rhino. 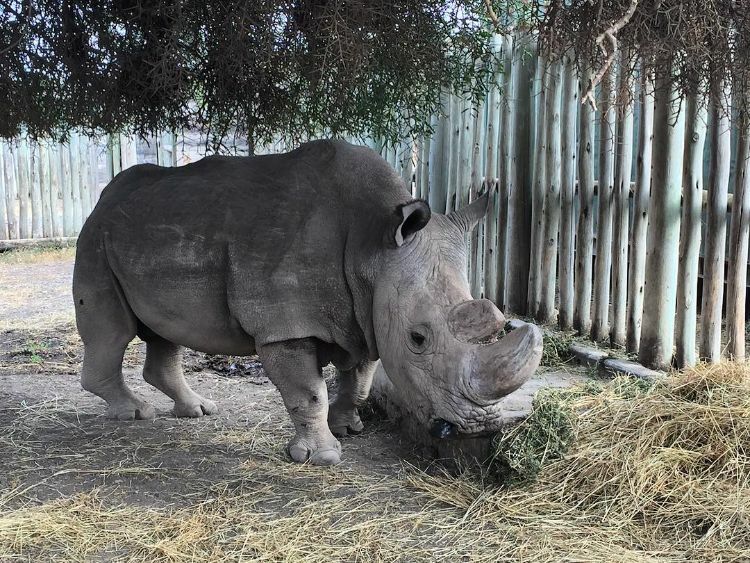 Sudan lived far longer than most rhinos do in the wild, but his life and the fate of his species has been directly impacted by human beings, for good and for ill. Although his passing is profoundly sad, with the efforts of scientists, conservationists and the people who cared for and loved Sudan, there may yet be hope for the northern white rhino.